↑ Lazare, Lewis. 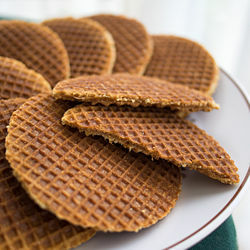 "What's Stroopwafel? United Airlines embraces Dutch treat along with fast-growing list of U.S. retailers". www.bizjournals.com. 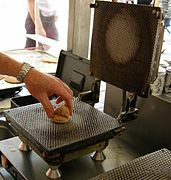 ↑ History & recipe Archived 13 December 2007 at the Wayback Machine.. Stroopwafelshop.com. Retrieved on 3 January 2007. หน้านี้แก้ไขล่าสุดเมื่อวันที่ 11 เมษายน 2561 เวลา 18:18 น.